We begin with an explanation of terms used by different modalities to serve in various locations in healthcare settings. The focus of the International Harp Therapy Program (IHTP), Music Thanatology Association International (MTAI), leaders of the American Music Therapy Association (AMTA), National Standards Board for Therapeutic Musicians (NSBTM), and the Sound and Music Alliance (SAMA) has been to educate all those working therapeutically with music to the understanding of each modality of training and offering. 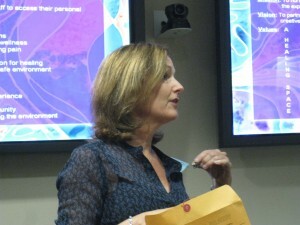 In February 2011, the on-line class of the IHTP had the exciting opportunity to hear Barbara Crowe, Music Therapy Director at Arizona State University and past president of the National Music Therapy Association- AMTA, Joshua Leeds, psychoacoustics and board member of SAMA; Jennifer Hollis, president of MTAI; Stella Benson, board member of NSBTM; Sarajane Williams of the vibroacoustic harp training program; and myself, Christina Tourin, director of IHTP, NSBTM and SAMA founding board member and music therapist. What is the training and certification process for your modality? What is the scope of practice and pay scale for your modality? What is the history leading to your development? How do you see we can educate administrators of healthcare facilities and graduates working in the field to understand the differences and build a comprehensive therapeutic music program uniting all those with unique and specialized trainings? How would one determine a pay scale so that one another is not undercut but at the same time recognized for the amount of training they have achieved? The outcomes of these recordings include very informative key points that everyone in healthcare facilities and the therapeutic music field should be aware of. Through education and respect for the various trainings, unification of music in healthcare can take on an important role. The lack of knowledge of the various trainings can lead to mis-use of skills and positive results for the clients and patients. 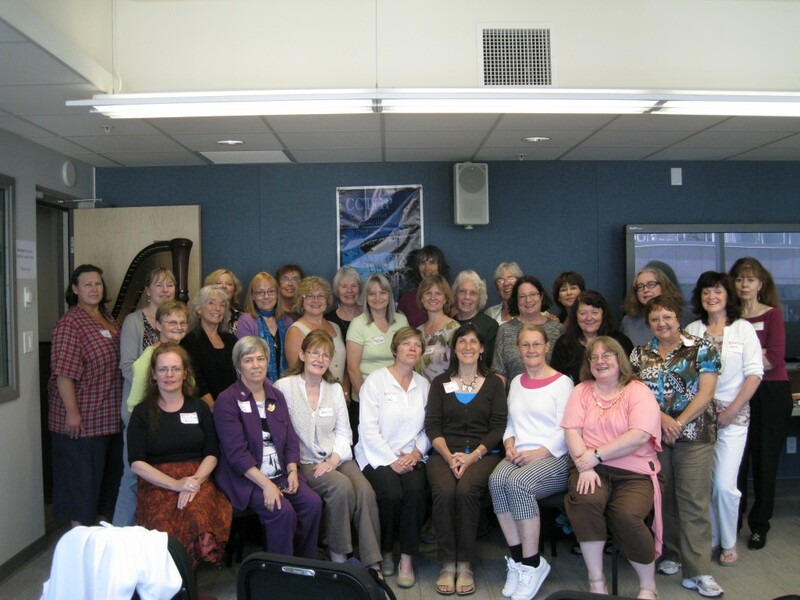 Music Therapist – MT – Music Therapy is the longest established organization developed in the 1950’s educating students to become therapists. They are highly trained to assess, diagnose and treat clients toward goal oriented outcomes. There is a strong emphasis on psychology and music skills. 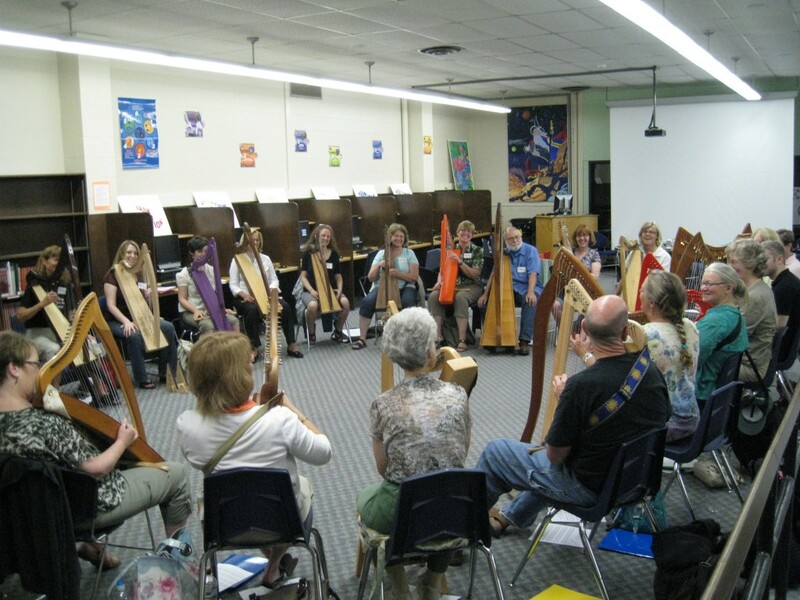 Therapeutic Musicians – TM – Therapeutic music programs run from 1-2 years of training and use the intrinsic value of music to address the needs of an individual. 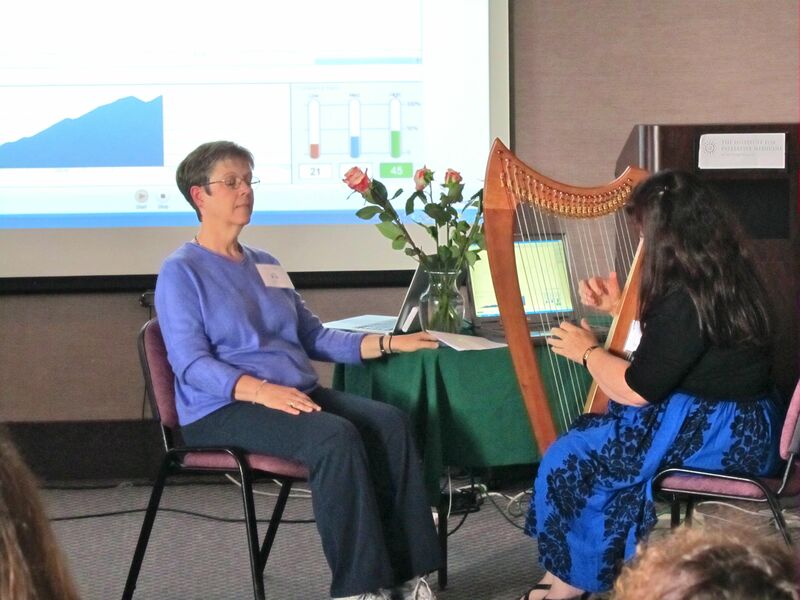 Within this category some TMus use their music passively in their work while others such as Therapeutic Harp Practitioners – CTHPs are trained to work interactively with their patients and clients. 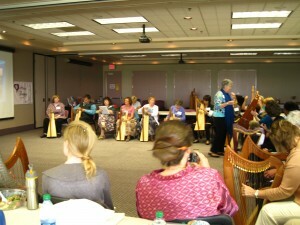 Therapeutic Musicians serve in hospitals, hospices, nursing homes to list just a few of the places you will find them. 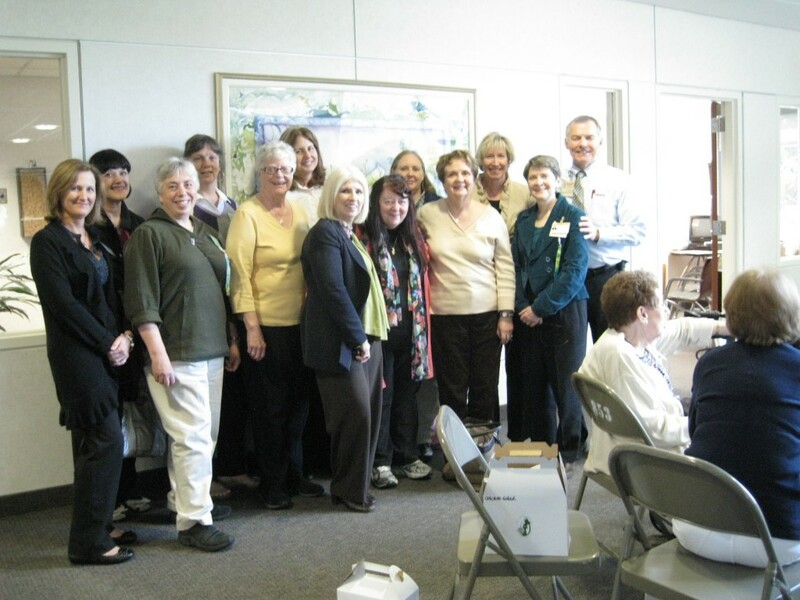 Music Thanatologists – CM-Th – Music thanatology is a 2 year program that unites music and medicine in end of life care. Prescriptive music is live music that responds to the physiological needs of the patient moment by moment in the ultimate journey at the end of life. Sound Healers – various titles – The majority of sound healers will use the vibrational aspects of sound and science to address the needs of their listeners. There are a variety of training programs from sound and brain research to the more spiritually oriented cultural practices and applications for sound healing. (VAHT) works by vibrating and resonating with the tissues of the body, thereby affecting physiological processes. It also affects the mental, emotional and energetic or spiritual aspects of the individual. The harp’s wide range of frequencies and overtones are capable of vibrating the dense, physical body as well as its energetic counterpart, providing multi-level stimulation and harmonization. Many musicians serve in healthcare facilities and usually you will find them in the lobbies playing as people enter the building. 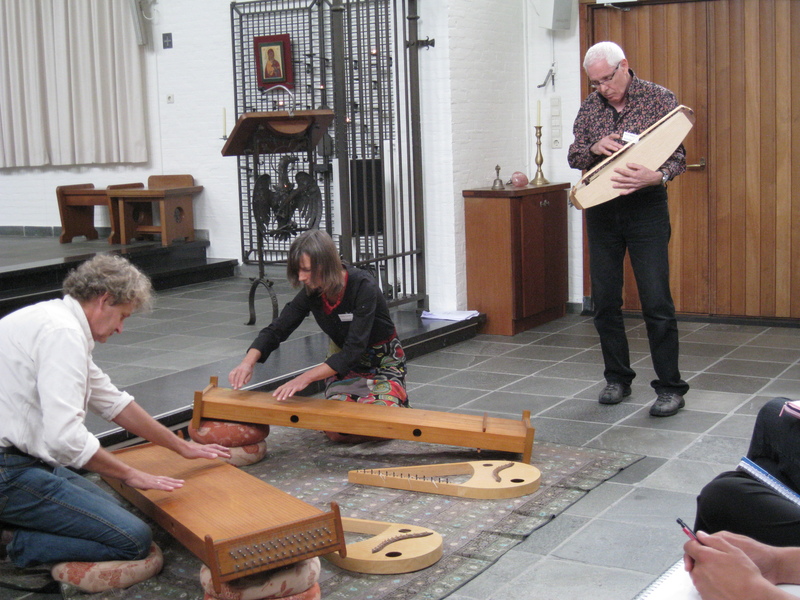 These people sometimes have gone through the volunteer department but have not gone through the intensive study of how music can affect the body – the mind and the soul of a person. They are viewed as entertainers and should be encouraged to study the effects of music and gain the knowledge and understanding of various medications, protocols, psychological aspects, musical skill building for improvisational work that is highly needed in a charged setting. These musicians, however, have the ability to bring an air of calm to the area. It should be noted that these areas should be public places where the listener has the opportunity to remain in the presence of the musician. 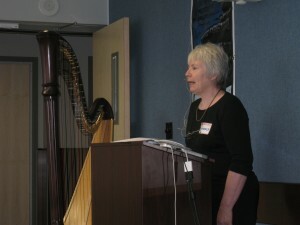 In the spirit of educating those in the field, the Music Thanatology Association International held their annual conference in Ogden, Utah and I was asked to be a featured speaker on speaking about therapeutic harp as we teach it in the IHTP and about my training as a music therapist. 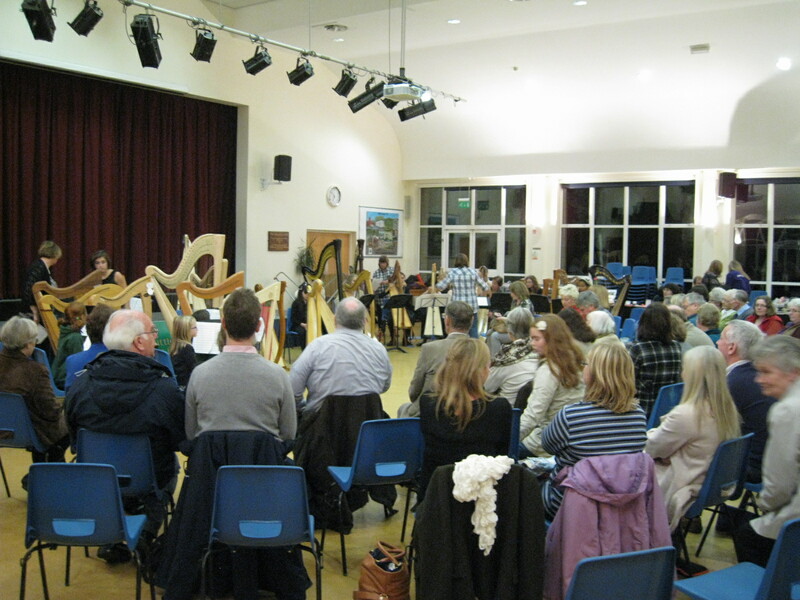 There I met with 60 lovely music-thanatologists and reunited with friends from the past. I also met Peter Roberts who has become a legend in Australia as the only music-thanatologist in their country and was featured on their national television station. 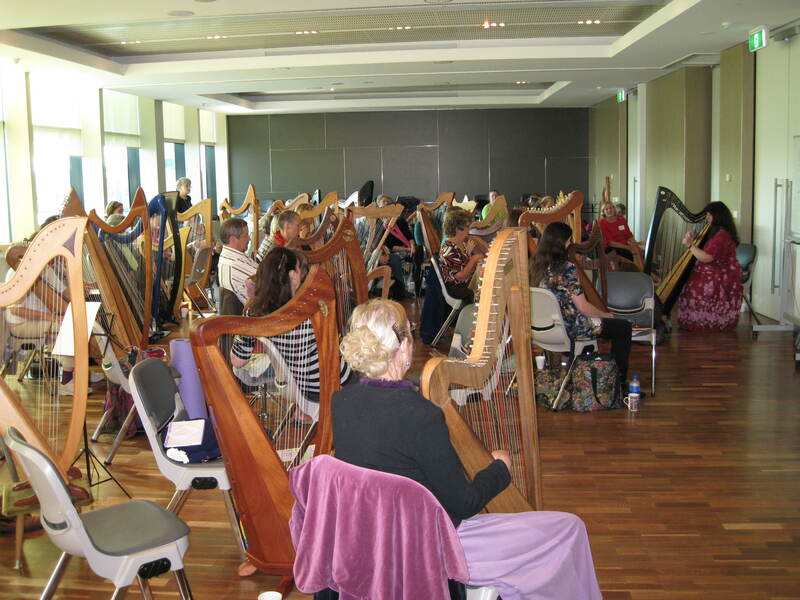 So, over the winter months we put together a CONVERGENCE in Australia featuring Peter Roberts on music-thanatology, Michael Johnson on music therapy, Mary Doumany on the Zen of the harp and myself on Therapeutic Harp. 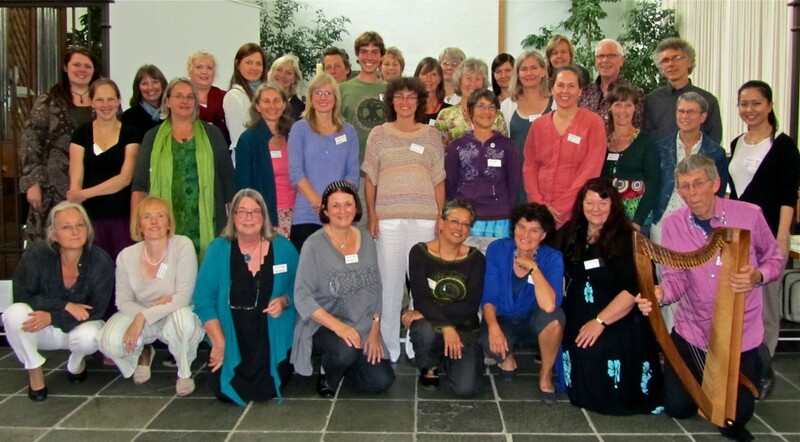 We had 58 attendees from every corner of Australia and from New Zealand. The first day of the conference focused on information and workshops while the second day was a hands-on experience learning a sacred song by Peter and improvisation techniques by myself. After Australia, I went to Brazil where I met up with Claudia Miranda, who I met at the World Harp Congress in Dublin, Ireland. She is spear heading the therapeutic harp movement in Brazil as well as studying Music Therapy. I was busy with many presentations for doctors, nurses, complimentary departments of the hospital and a special trip to the Planetree hospital in Sao Paulo. Our next Conference was San Diego, California the end of May. Serving as our Regional Conferences for CEUs for the IHTP program, we are also focusing on the topic of Convergence. Here is a picture of the organizers. Presenters included Ann Dowdy on Music-Thanatology, Dr. Amy Lynn Kanner on Therapeutic Music, Christina Tourin on Heartmath® and Convergence; Deborah Noland, RN; Jennifer Taylor, Susan Zevenbergen; Dana Mosser; and Linda Hill Phoenix. 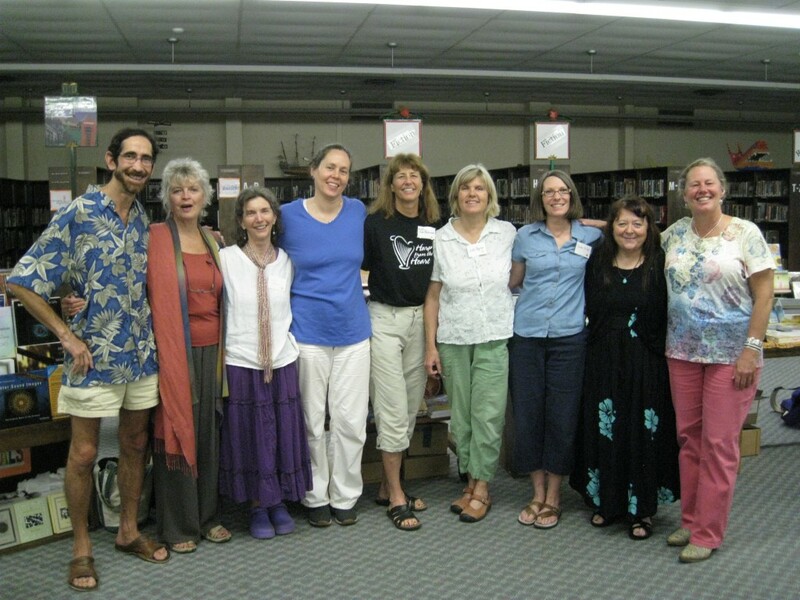 On July 9-10, we had another Convergence Conference in Burlington, Vermont followed by our Resonance Module. Our presenters were Jeff Volk on Cymatics, Molly Scott on Creative Resonance, Margie Bekoff on Immunology and working with folks with Alzheimer’s, Judith Hitt on Resonant Tone, Kathryn Kuba-Dandurand on Volunteers, Christina Tourin on Convergence, Martha Gallagher. 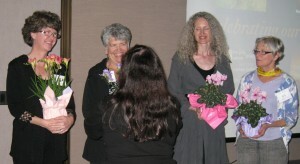 Organizers were Bambi Niles and Judi Byron. 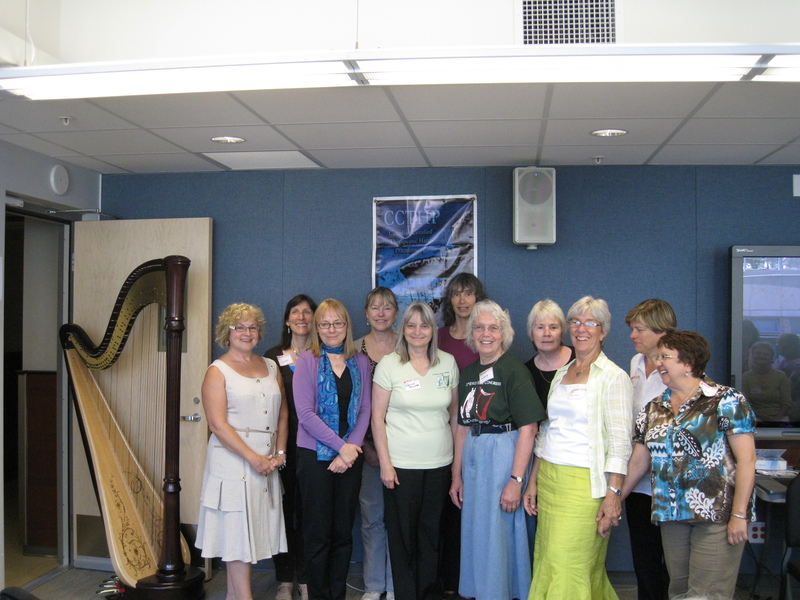 July 31st, we held the Canadian Therapeutic Harp Conference in Vancouver, B.C. 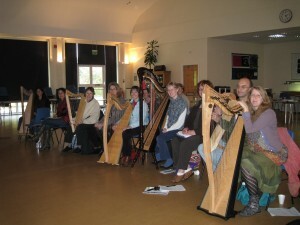 following the World Harp Congress. 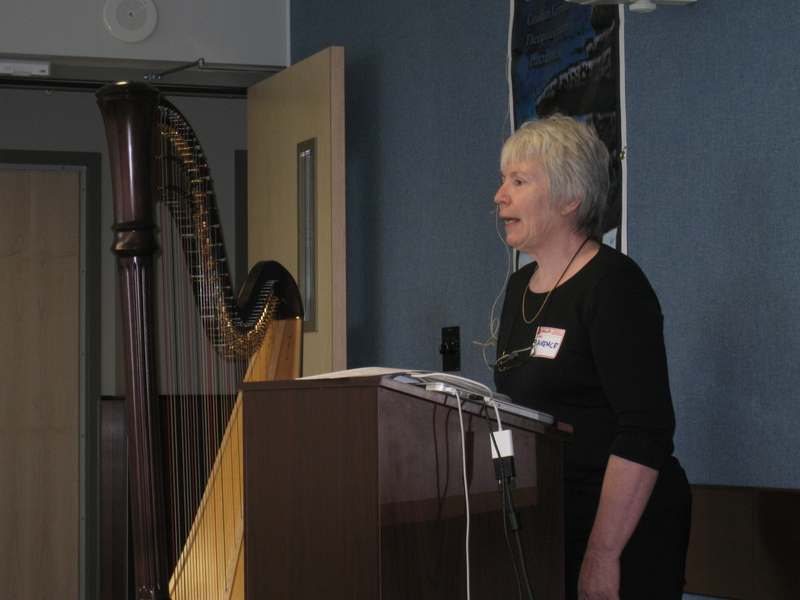 Anita Lechied speaks on unification of Therapeutic Harpists, Music Therapists, Vibroacoustic Harp Therapists and Music Volunteers in Canada. A new Association is established in Canada. Laurence talked about her work from the perspective of “What is willing to meet me; the key to the autistic child’s world” and described an interesting VAHT case study. She also shared her experiences with with Healing Harp Circles, Guided Meditations with Harp , and HarpArTherapy. Laurence is self-employed in Moncton, N.B. Bev works as a therapeutic harp practitioner at the University of Alberta Hospital (adult acute care) and the Cross Cancer Institute in Edmonton. 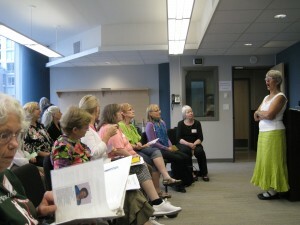 Since 2007 she has facilitated harp circles at the Cross in a program that is constantly evolving. 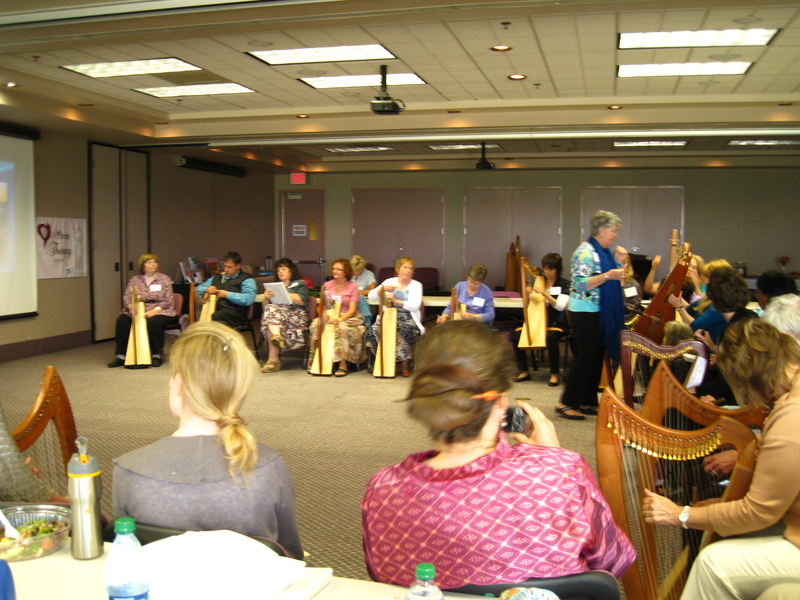 The session highlighted the challenges and rewards of offering harp to this patient group, considering the elements that make a harp circle “therapeutic”, and looked at some avenues for funding. 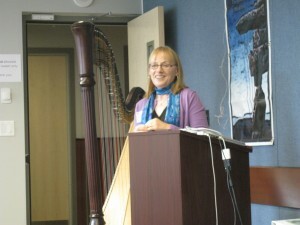 Keynote Address – Harp Therapy and Heart Math – Christina Tourin, founder of the International Harp Therapy Program, Mt. 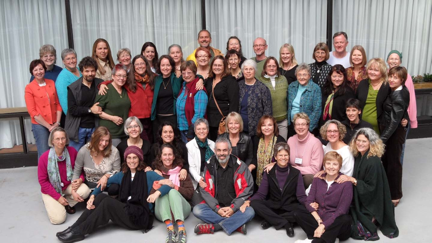 Laguna, California presented how the mind and heart are connected. With the aid of a biofeedback program, witness how the Five Qualities of Individualized music can take one out of the tense and frenzied red zone and enter into a calm and relaxed green zone. See what happens when the breathing tempo, the mood, the resonant tone, the genre of music desired and how certain intervals can make all the difference in helping a person to find that soothing place. This year is a busy year to spread the word of Converging and educating about what the various modalities consist of and how we can all work together. 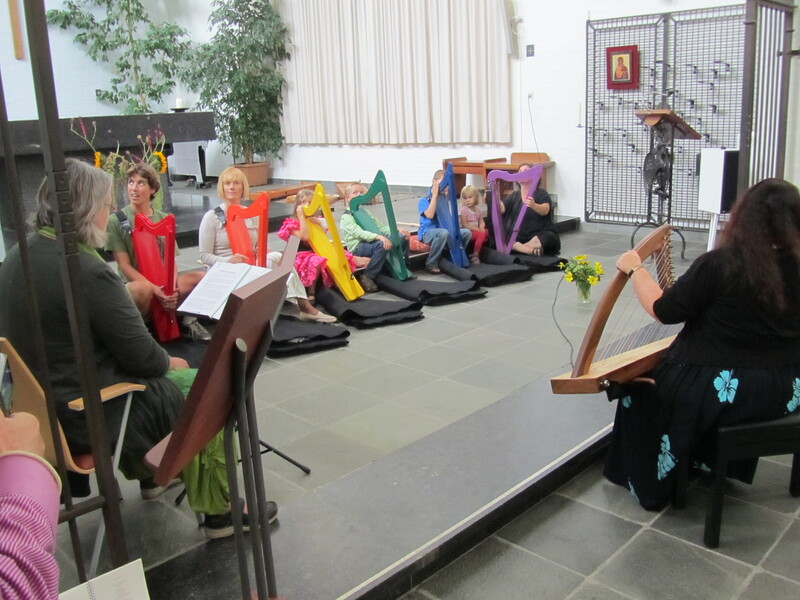 In August, the 13th and 14th, we held another Convergence Conference in Werkhoven, Netherlands for our European community of harp players. This was followed by a training module. October 30th wrapped up our last CEU and Convergence Conference for 2011 in Derbyshire, UK in conjunction with the Derbyshire Harp Festival, sponsored by Helen Naylor of the Little Welsh shop. Together, learning the terminology and understanding how we can unite, we will make a strong presence in the field of Sound and Music healing. “Our world of senses is the world of effects. A teen by the name of Alex dealt with his own health challenges while in hospital. After 4 years being in and out of the hospital and being exposed to the beautiful sounds of the harp, he took up harp study and now has become the Pied Piper at Denver’s Children’s Hospital. 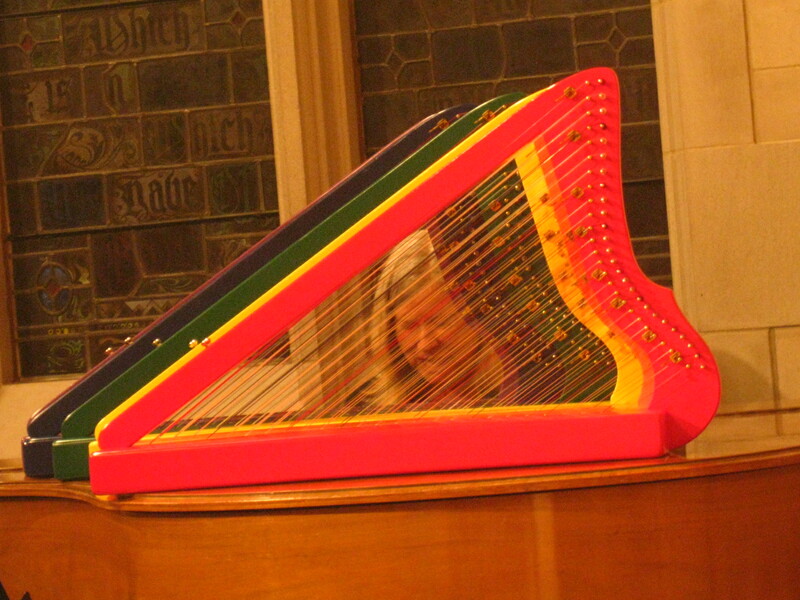 This inspired Christina Tourin to develop a program for young adults who play the harp to learn how to work with children in Pediatric wards. What better way to relate children-to-children!